Looking for the most original motivational blogs for 2018, well you’re welcome to the right post. As you know, Pediawap is here to make sure that you get the best, we don’t care where it is coming from, all we are here to do is give you the best of the best. We are committed to inspiring and motivating people to reach the highest height they ever imagined. Over the years, I have spoken with a lot of great people who give value and who also are in the same field of Success, health, Self-Development, motivations and so on. Well, I don’t just read books and chat with these great people, I also understand their blogs and check out their stuff, to be sincere they have been committed, and they give the best too. Guess what, I have taken my time to research on the best motivational and inspirational blogs in the world, and I must say, it doesn’t matter who comes first on this list, what matter is that you’re here. 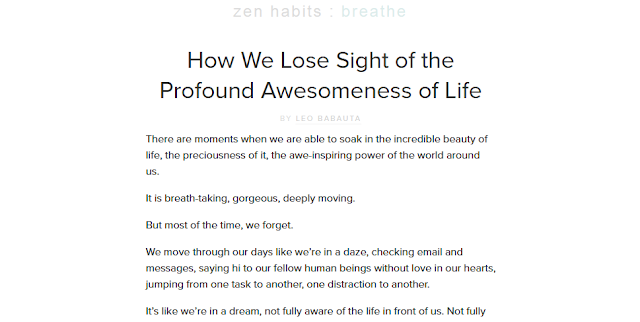 You will find some lovely motivational blogs that are new and doing well in this article. And the year 2018 promises to be good. Here is a list of a fantastic collection of the ‘Top 29 Motivational Blogs For 2018’. The below are the top 29 motivational blogs for 2018; these results are based on our opinion and analyses. In case your blog made it to this list, kindly do well to share them on your blog or with your social media following. 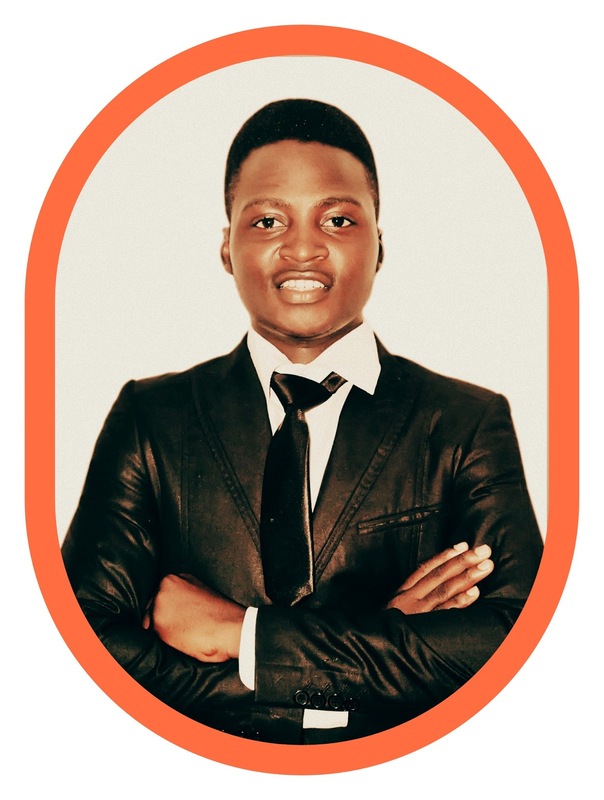 Moses Kalejaiye is the founder of Pediawap and he his a Nigerian Entrepreneur, a Motivational Speaker, and a blogger. Pediawap is a platform that focuses on motivation, Health, Success Tips, and Motivational Videos. Addicted2Success was created in April 2011 by Joel Brown who is an Australian Entrepreneur, Speaker, blogger and also a Coach. Joel Brown is the winner of the SUCCESS Magazine BlogStar Awards 2015. Addicted 2 Success is a platform that focuses on motivational advice, but the majority of the content is inspirational, and now is reaching more than 120 million people worldwide, it’s grown to be one of the various famous motivational blogs in the past years. Cris Nikolov established motivation grid – Motivation Grid is known as the top motivational and inspirational blog that shares videos, quotes, and items that relate to productivity and happiness. John Wesley is the founder of Pick the brain – Pick the Brain has been in existence since 2006, and from then it has grown. The three main categories of Pick the Brain are productivity, motivation, and health. Josh Hinds is the founder of Get Motivation – Well from the name alone; you know what to expect. Get Motivation is another excellent place to get motivation. 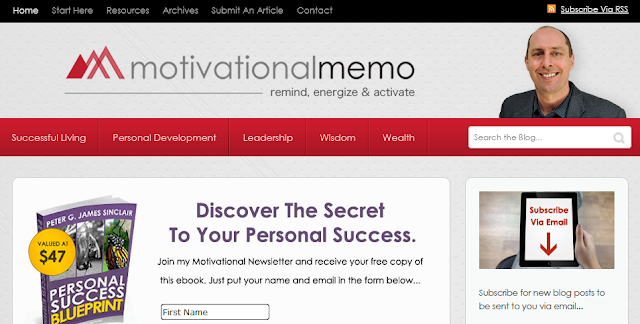 It focuses solely on motivational articles, quotes and motivational stories. 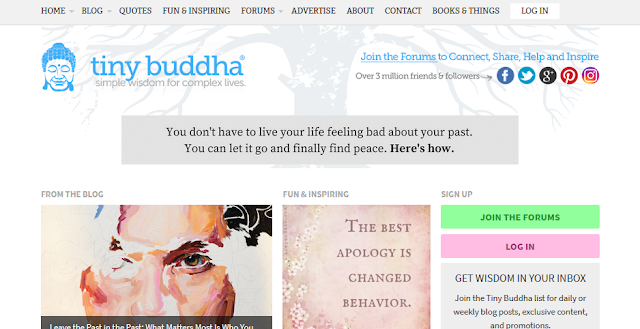 Lori Deschene is the founder of Tiny Buddha – Tiny Buddha is another very fantastic place to be, the famous worldwide blog regulated towards living a peaceful, happy and fearless life. Tiny Buddha has lots of social media fans, and it sure deserves to be on this list of the top motivational blogs in 2018. Jay White is the founder of Dumb Little Man – Dumb Little Man has top categories, and it also gives out good motivational articles. Just expect success tips, happiness, money and life hacks. Alden Tan is the founder of Alden Tan – Alden Tan has a very uniques way and style of blogging. Alden’s opinion is all about living your life to the fullest and freely without worrying about what others may think of you. Thai Nguyen is the founder of The Utopian Life – The Utopian Life is a great motivational blog that shares fabulous articles on productivity, happiness, motivation e.t.c. Thai's passion for writing is also incredible. Brian Tracy is the founder of Brian Tracy - Brian Tracy has written over 80 books on motivation, and it has been translated into many languages. Just as the name implies "SUCCESS." This blog will motivate you on how to achieve a good business, personal development, health, and lifestyle. It also provides fantastic quotes about success and fills you with positivity for the rest of your day. Stephen Guise is the founder of Deep Existence – Stephen writes about 12% inspiration and 88% logic. The blog is also motivational to a large number of people that do. I Need Motivation is a business based on self-development, it's not just like any other blog. You can find many courses on the blog that will help you on motivation and self-development. Nicholas Xifaras & Trevor Oldham are the founders of Become the Lion – Become the Lion is a new blog that is founded by two entrepreneurs, that sets out to provoke people towards success. Sean Russell is the founder of MenProvement – MenProvement is a motivational blog that specially deals with men, from the name, you will know that it focuses on improving the lives of men. Steve Mueller is the founder of Planet of Success – Planet of Success is another tremendous personal development blog that seeks to motivate and inspire people. Jeff Moore is the founder of Everyday Power Blog – The Everyday Power Blog is all about being empowered and equipped to become the best version of yourself. Everyday Power Blog will enlighten you on the tools to use and how to use them to be motivated and inspired. Remez Sasson is the founder of Success Consciousness – The founder writes about inner powers, skills, growth, and positivity. Remez has also written many books that will inspire and motivate you. Leon Ho is the founder of Life Hack – Life Hack is one of the most famous self-development blogs on the net. The team that makes up Life Hack are working hard, and i think they deserve to be on this list. Moses Simuyemba is the founder of Motivation for Dreamers – as the name implies, if you are a dreamer and not a worker, then get on the motivation for dreamers to get the right motivation to be successful in life. Scott Smith is the founder of Motivation to Move – have you being stagnant for too long? Then goto Motivation to Move. The blog writes about success coaching. Scott’s story is a wonderful one. Henrik Edberg is the founder of The Positivity Blog – The Positivity blog is all about being positive. Henrik started back in 2006, and the blog has attained great heights today. Gudtalent Chrisent is the founder of Entrepreneur nigeria - Although Entrepreneur Ng focuses on how to improve the life of Nigerian's, the blog can still be read by any one and the tips will work for you. the rate and pace to which the blog is growing, still amazes me. you can visit to get motivational and self-development tips. Mark Shead is the founder of Productivity 501 – well, Productivity 501 might not be a motivational blog but trust me it has exceptional content too. It’s all about organization, productivity, technology, etc. Evan Teague is the founder of Motive In Motion – Motive In Motion is a comparatively new blog, that centers on developing people's mindset about success. Nick Macri is the owner of Fearless Motivation – Fearless Motivation is a significant hub for motivational talks. The blog has over 8 million views on YouTube and a tonne of high motivational content. Leo Babauta is the founder o Zen Habits – Zen Habits segregates itself from the usual traditional type of blog. 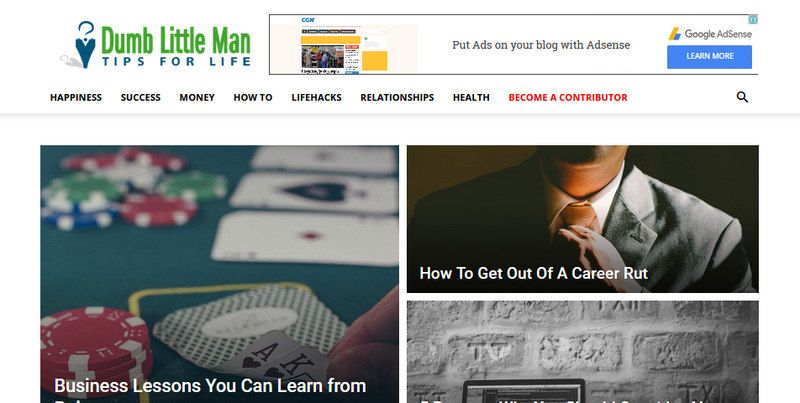 The blog has only one article on the homepage. There are no ads or decorative designs used. Just pure content. Check it out. Scott Young is the founder of Scott H Young – His blog focuses on Goal setting, health, productivity, learning, entrepreneurship, and life philosophy. If you find your blog here, kindly encourage us by linking back to this post on your blog and of course, don't forget to share it with your audience. Which are your motivational blogs? Leave a comment below.